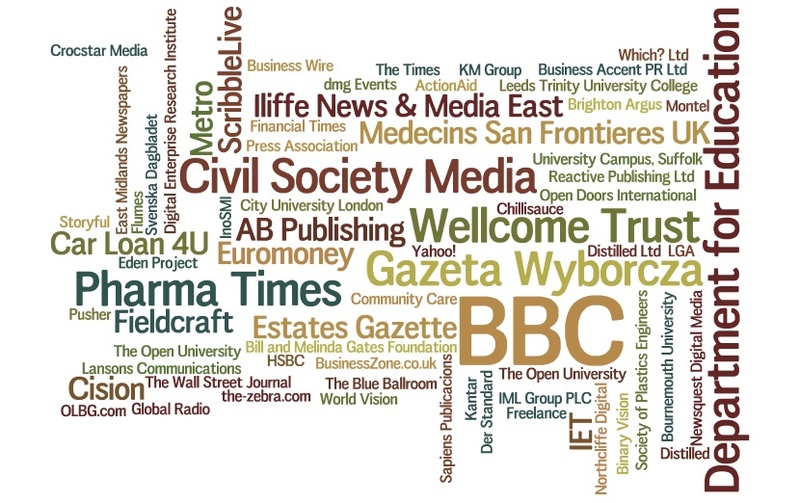 With most of the tickets for news:rewired – digital stories now sold, and just over two weeks to go until the digital journalism conference on Thursday 6 December, we’ve produced a Wordle showing the representation of companies by delegates expected on the day. You can also see a list of the speakers due to present on the day here, the agenda is viewable at this link, and a list of most of the delegates signed up to attend can be seen here. There are still a handful of tickets available for news:rewired, but be quick as the event is expected to sell out. Tickets for the one-day conference can be purchased at this link for just £130 (+VAT). Lunch and refreshments will also be provided, as well as networking drinks afterwards.